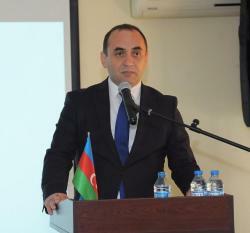 The opening ceremony of the Azerbaijan Institute of Theology was held in Baku on Sept. 17. The event was attended by the head of the Department of Interethnic Relations, Multiculturalism and Religious Issues of Azerbaijan’s Presidential Administration Etibar Najafov, chairman of the State Committee for Work with Religious Organizations Mubariz Gurbanli, chairman of the parliamentary committee for public associations and religious structures Siyavush Novruzov, heads of Azerbaijan's religious communities and others. 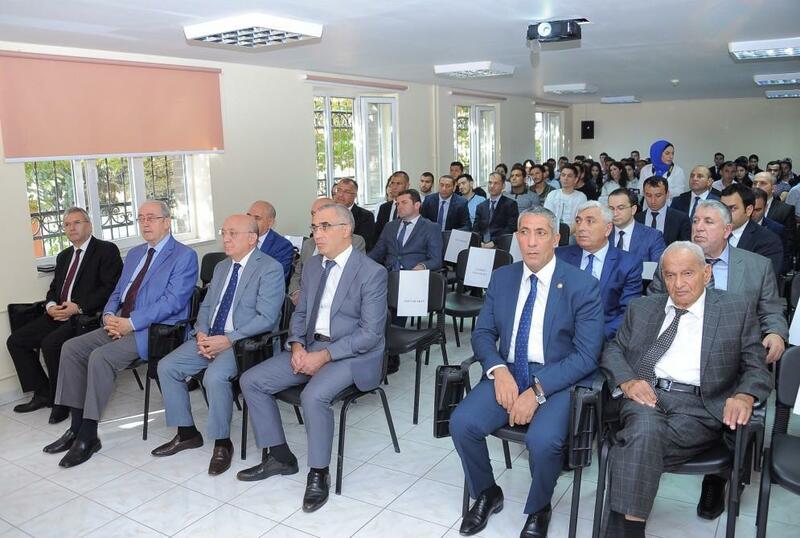 The rector of the institute, Ph.D. in theology Jeyhun Mammadov stressed the successful continuation of the state's religious policy by President Ilham Aliyev, the foundation of which was laid by the great leader Heydar Aliyev. Heydar Aliyev Foundation, which is headed by the First Vice-President of Azerbaijan Mehriban Aliyeva, also cares and pays special attention to this sphere. On behalf of all theologians, the rector expressed gratitude to President Ilham Aliyev for the great attention paid to religious affairs. "In the academic year 2018-2019 on the basis of the state order (tuition fee paid by the state) 35 places were allocated for Islamic studies,and 25 places for Religious studies. All the allocated places are taken by students. Presently, the institute has one faculty and three departments. Lessons are conducted in Azerbaijani. In the future, it is planned to add Russian, English and Arabic, and attract students from other countries," the rector of the institute said. Then Etibar Najafov, Mubariz Gurbanli, Siyavush Novruzov, deputy head of the Caucasian Muslims Office Haji Fuad Nurullah and others made speeches. On behalf of the heads of religious communities participating in the event, an appeal was made to President Ilham Aliyev.